Scott Seiver has done about all there is to do in poker. He's conquered online poker, crushing in both tournament and cash games. He's become a regular player in live high-stakes cash games and won a WSOP bracelet among $23 million in live tournament earnings. 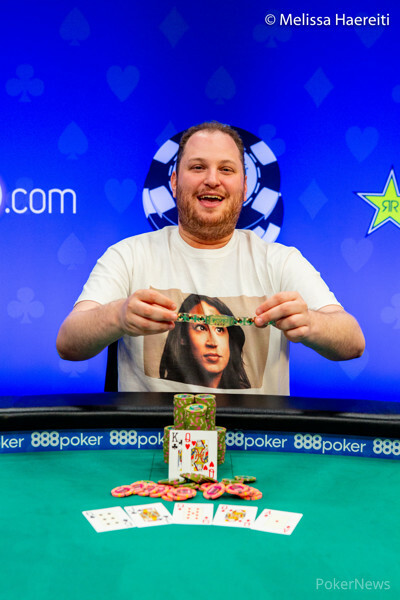 But he admitted winning a piece of WSOP gold still matters, and that's exactly what he did when he won his second bracelet, defeating a field of 114 in Event #52: $10,000 Limit Hold'em Championship. "I'll be honest," he said. "It matters a lot to me. It really does. I feel that I've really accomplished most things that I've set out to do in poker so far and honestly, even more than that." Seiver's motivation to grind at the Rio All-Suite Hotel & Casino has appeared to wane in recent years, something he admitted has been the case as lucrative summer cash games have drawn his attention. He went for a mere $3 in the $25K fantasy draft after insisting to peers he'd be scarce at the Rio for the fourth or fifth consecutive year, planning to play only four or five events. However, in a lull in the Stanley Cup finals — Seiver counts himself an avid hockey fan and said he attended all of the Las Vegas Golden Knights home games — Seiver squeezed in a shot in $2,500 Mixed Triple Draw Lowball. He got second to Johannes Becker, a result that didn't set well. "I was so upset that I didn't get a bracelet," Seiver said. "If I either won that tournament or didn't cash, I probably wouldn't have played another tournament all summer." So, Seiver has been a regular presence once again, and he made a run despite last-minute registering the Limit Hold'em Championship. Upon making Day 3, he decided he'd like to don something special if he made the final table to celebrate the upset victory of Alexandria Ocasio-Cortez in a New York Democratic primary. "I believe she'd be the first-ever active registered socialist to make it to U.S. Congress," said Seiver, who actively shares his political thoughts and opinions on Twitter. "I've been a really big fan of her and her message." So, he called up Alan Sass 30 minutes before play. Less than an hour later, a courier arrived bearing a T-shirt emblazoned with the prospective Congresswoman's face. A surprised Seiver admitted he was impressed by the amazing speed of the delivery and he stored it away in case he made the final table. 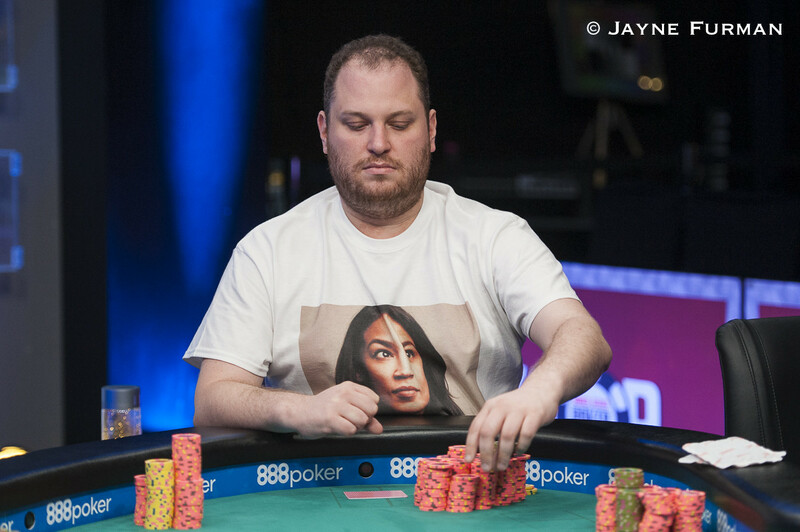 Seiver had a special shirt made for his final-table appearance. Seiver challenged for the chip lead early but by the time play was five-handed, he found himself at the bottom of the counts with Matt Glantz. Seiver said ICM implications slowed him down at that point. "Honestly, I got somewhat lucky that he went out somewhat soon-ish and I was able to play more for the win at that point," Seiver said. "I made a couple big hands which is really what you need in this game and it helped catapult me up out of the danger zone." Seiver leaned on his skill and experience playing big-limit cash poker — he's a participant in many of the biggest games in Vegas — and climbed up into the lead. He hit a three-outer to bust fellow bracelet winner Anthony Zinno, who led for most of the day. That left Seiver heads up with Matt Szymaszek. Though the match was short, it proved very swingy. Seiver started off down 2-1 in chips but went on a dominant rush and had Szymaszek down to a couple of bets. Down nearly 10-1, Szymaszek erased that deficit and moved back into the lead. "My heart was going about a thousand miles a second," said Seiver, who certainly turned serious for heads-up play after laughing and joking for much of the final table. 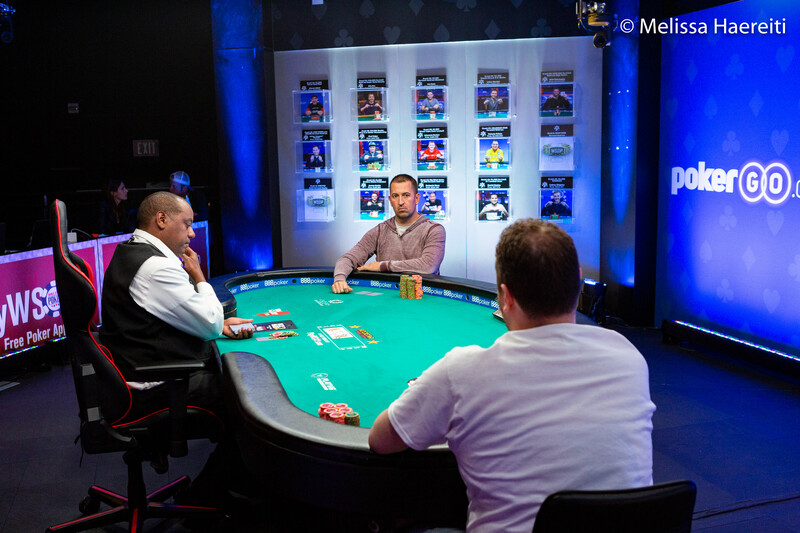 Scott Seiver and Matt Szymaszek battle for the bracelet. Seiver picked off a big bluff and then won another pot with jacks up. With limits so big — less than 30 big bets remained on the table — that was all it took to take another big lead and finish off Szymaszek. While limit hold'em is generally considered to be an old-school game, Seiver's win continues an embrace of limit poker that began in his post-Black Friday years when he moved to Las Vegas to more fully explore the live poker scene. "I really became enchanted with the mixed games," he said. "Honestly, it's exciting to learn new games and try new things. I think it's a natural progression for almost every single poker player. "I really enjoy all the different aspects of the different games. I like the feel of a limit table better. It's more friendly, it's more camaraderie. There's a lot of laughing and joking throughout the day. I really just enjoy limit more and I've done well and I'm happy with that." The WSOP schedule, of course, remains populated with limit and mixed events. And with Seiver's ever-increasing skill in those formats, it seems it's only up to him whether he will add to his bracelet count. As long as he can find time to step away from the cash games, he'll be a favorite in just about anything he enters — starting with the $10,000 Razz Championship, which he said he plans to register after sleeping off the win. And to hear Seiver tell it, the motivation to grind for bracelets is back for the moment. "I feel I like to be judged by what my peers think of me more than my actual results," he said. "But, the World Series still has a certain panache that you don't find in other situations. So, this is very special to get this bracelet and I hope to get many more in the future." Matt Szymaszek raised and Scott Seiver three-bet. Szymaszek called and Seiver bet all three streets on . Szymaszek called down but Seiver had gotten there on the river with . Left with crumbs, Szymaszek got them in on the next hand. He had but some of his outs were dead against . The further narrowed Szymaszek's chances and the ended it just as the level closed. Matt Szymaszek raised and Scott Seiver three-bet. Szymaszek called and the dealer spread the flop. Seiver led out with a bet and Szymaszek called. The turn was the and Seiver checked, Szymaszek bet and Seiver check-raised. Szymaszek called and the river was the . Seiver bet, Szymaszek called and Seiver showed for two pair to take the pot. Scott Seiver raised and Matt Szymaszek called. Szymaszek check-raised the flop and bet the turn and river. Seiver folded to the river bet. Matt Szymaszek raised and Scott Seiver called. They saw a flop of and Seiver check-called a bet from Szymaszek. The turn was the and Seiver checked. Szymaszek threw out a bet and Seiver check-raised. Szymaszek put in a third bet and with the action back on Seiver he four-bet. Szymaszek called and the river was the . Seiver checked and Szymaszek slid out a bet. Seiver called and Szymaszek tabled his for just queen high. 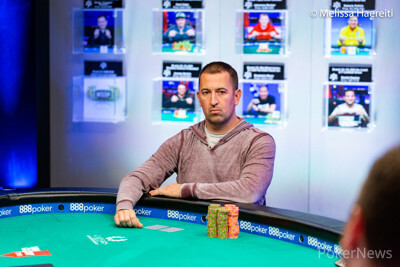 Seiver showed for two-pair and scooped the monster pot to move back into the lead. Scott Seiver raised and Matt Szymaszek called. Szymaszek check-raised the flop and an arrived. Szymaszek bet and Seiver raised. Szymaszek didn't take long to fold. Scott Seiver raised and Matt Szymaszek called. They saw a flop of and Szymaszek check-called a bet from Seiver. The turn was the and Szymaszek led out with a bet. Seiver raised and Szymaszek put in a three-bet. Seiver called and Szymaszek led out again when the hit the river. Seiver called and Szymaszek turned over for a turned straight. 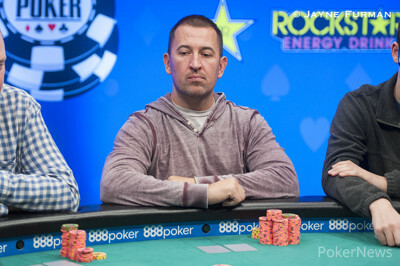 Seiver threw his hand away and Szymaszek scooped the pot to move back into the chip lead. Scott Seiver raised and Matt Szymaszek called. The flop came and Seiver bet, with Szymaszek calling. On the turn, Szymaszek check-raised and Seiver mucked. The next hand, Szymaszek raised and Seiver called. Seiver check-raised on and Szymaszek stuck around. On the turn, Seiver just check-folded. Matt Szymaszek raised and Scott Seiver called. They saw a flop of and Seiver check-called a bet from Szymaszek. The turn was the and Seiver checked. Szymaszek bet and Seiver made the call. The river was the and Seiver checked for a third time. 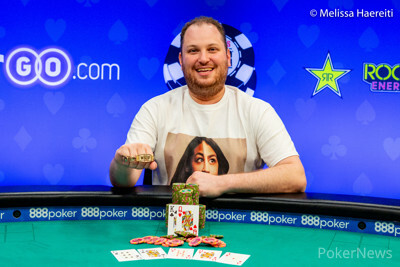 Szymaszek moved all-in, Seiver called and Szymaszek showed for trip sevens to earn the double-up.